I don’t know what it is with me, but, I sure have had coffee cakes and scones on my mind a lot of late. It really has to be that I really love my breakfast foods. I had in my mind that I wanted to make a coffee cake. Maybe something just a little different than the ones that I have made in the past. Nothing with a struesel topping, not that I don’t love my struesel as much as the next person. Can a coffee cake be called a coffee cake if it doesn’t have struesel?? Yes, I think so. Well today I am calling my coffee cake a morning cake, just because, or maybe it didn’t totally remind me of a true coffee cake. Are you as confused as I am right now? You see it is cake and I made it to be eaten in the morning… does that help with all of the confusion? Yes, we did eat it in the morning, but truth be told we ate some of it in the afternoon and evening too. 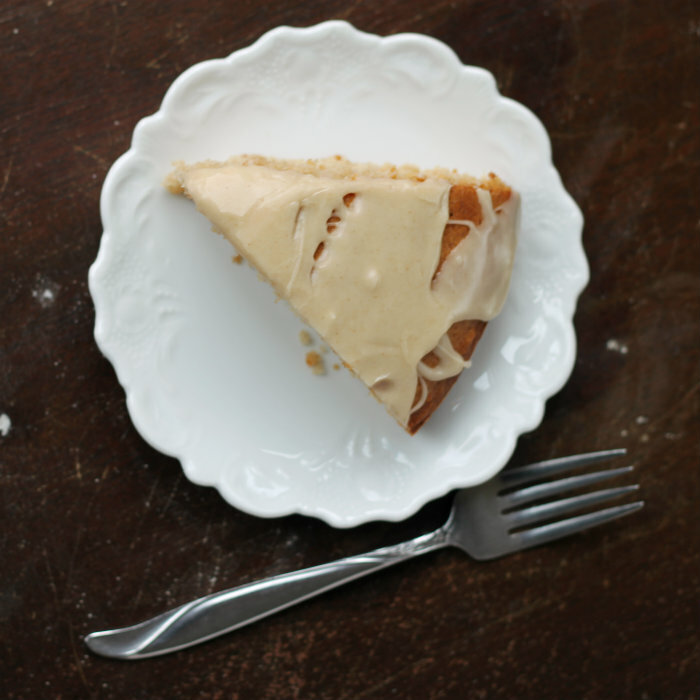 But I am sticking to my story… I am still calling it morning cake. 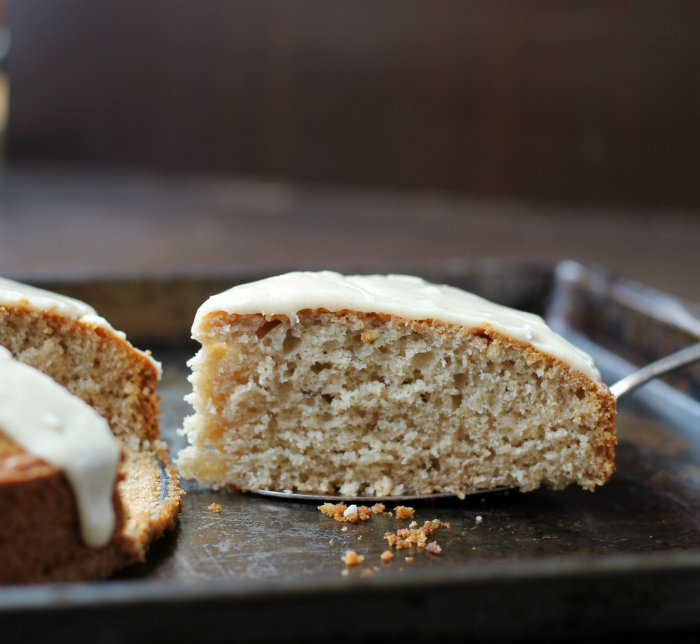 I love the honey in this spice cake, you can taste a hint of it along with the yummy spices. 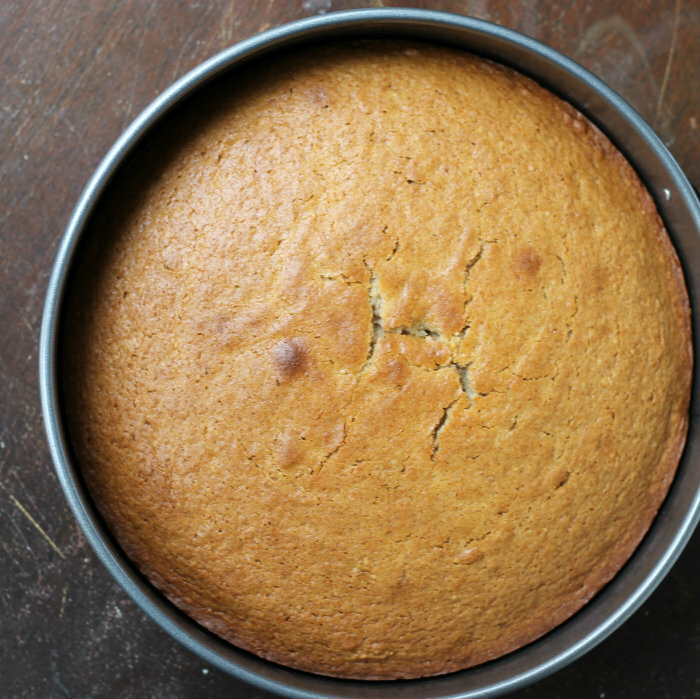 The brown butter was a wonderful addition to this spice cake. As it is true with some cake, this became a little moister the next day and the next day. So if you decided to make this cake, please don’t feel that you have to eat it just in the morning because of the name. If you like to sneak a piece later in the day feel free to do so. Preheat oven to 350 degree F. Grease a 9-inch spring-form pan. In a small bowl combine the eggs, butter, honey, vanilla, and milk, stir ingredients until combined. In another bowl combine the dry ingredients. Add the egg mixture to the dry ingredients and mix just until well combined. Pour into the prepared spring-form pan and place into the preheated oven. Bake for 45 to 50 minutes or unit a toothpick inserted comes out clean. Remove from oven and cool completely on a cooling rack. While the cake is cooling prepare the frosting. Place the butter in a small sauce pan. Heat over medium low heat until the butter is lightly brown, make sure to stir constantly so that the butter does not burn. Remove from heat and add the powder sugar, vanilla, and gradually add the cream. 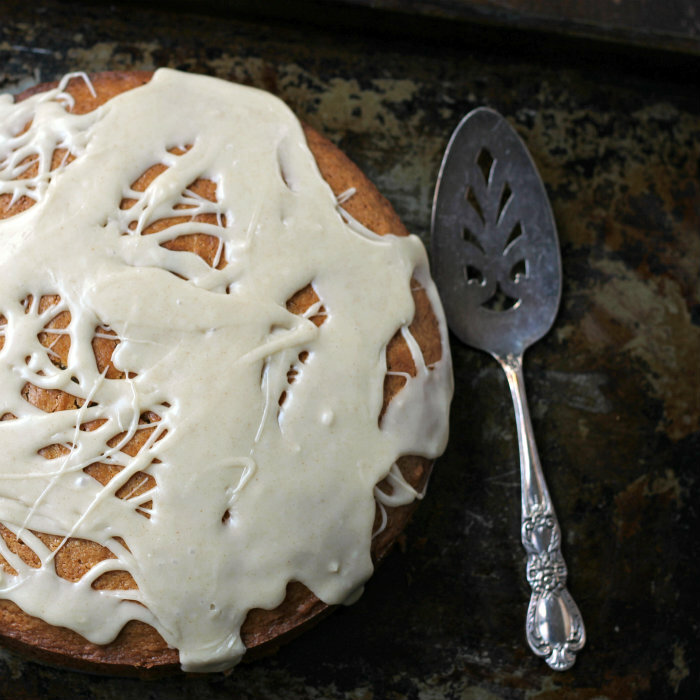 Stir until smooth and right consistency for drizzling over the cake. Looks PERFECT for morning to me! Something about warm spices like cinnamon work perfectly for breakfast! Happy Easter, Dawn!!! 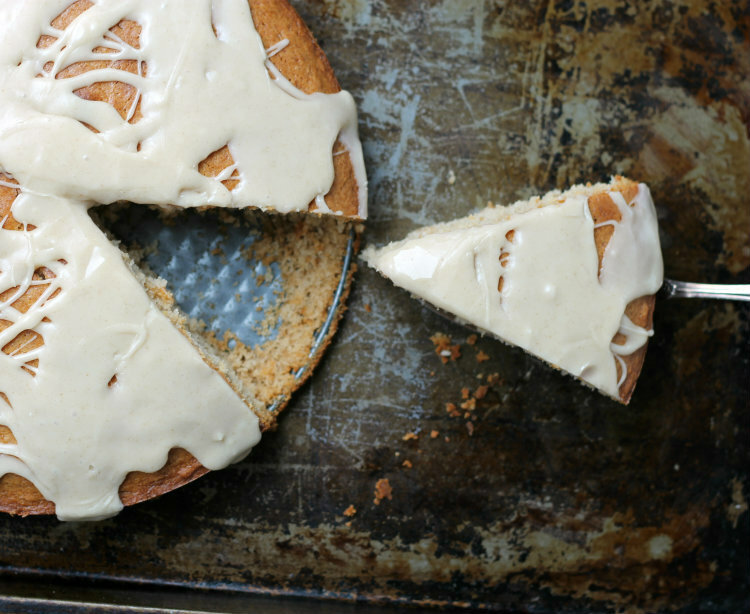 Coffee cakes and breakfast cakes are some of the best kinds of cakes! You don’t have the stress of a layer cake, but they’re still as good. I love the sound of spiced honey – sounds like the perfect way to wake up!